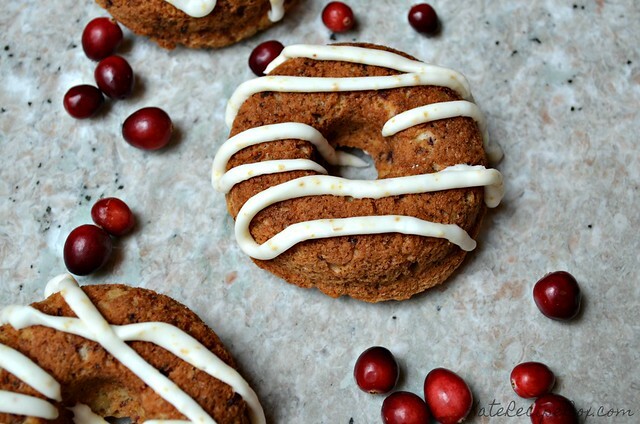 Looking for the perfect treat for breakfast on Thanksgiving or Christmas? 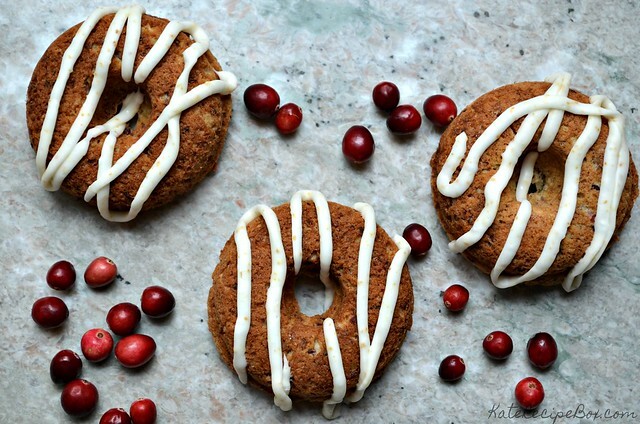 Look no further than these Cranberry Pecan Doughnuts! You know what I love more than holiday dinners? Holiday breakfasts. Dinners always seem to demand a certain amount of structure and tradition – but anything goes for breakfast. 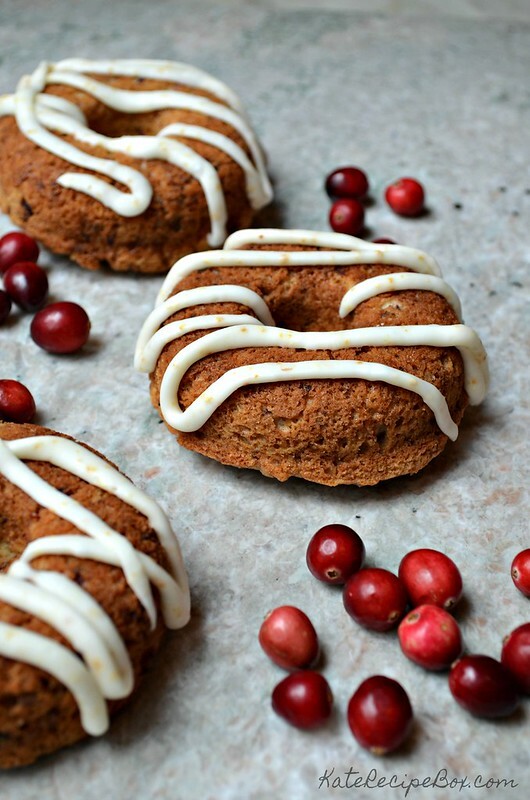 These Cranberry Pecan Doughnuts are on point with the seasonal flavors, but they’re not fussy and can be made the day before, so they’re perfect for a holiday. 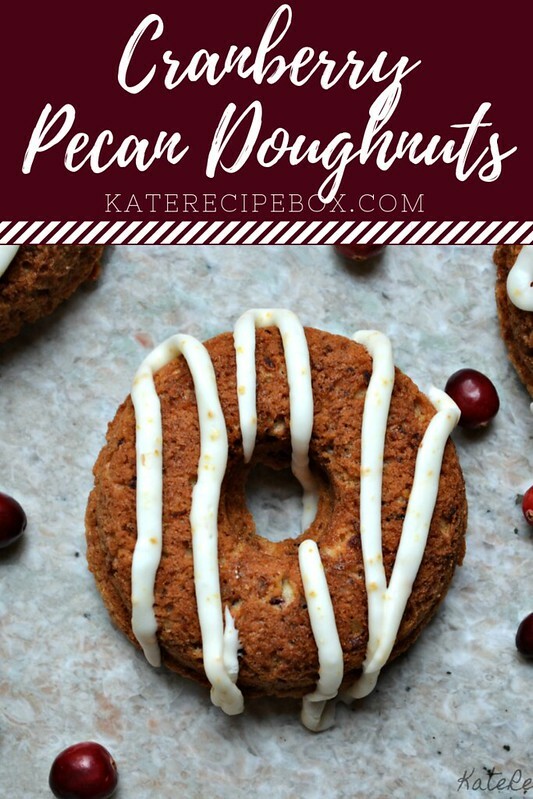 The pecans and cranberries are chopped pretty small using the food processor, which makes an even flavor and texture throughout the doughnuts. There’s also orange juice and zest in these. The orange flavor doesn’t come through strong, but it does add a nice balance! 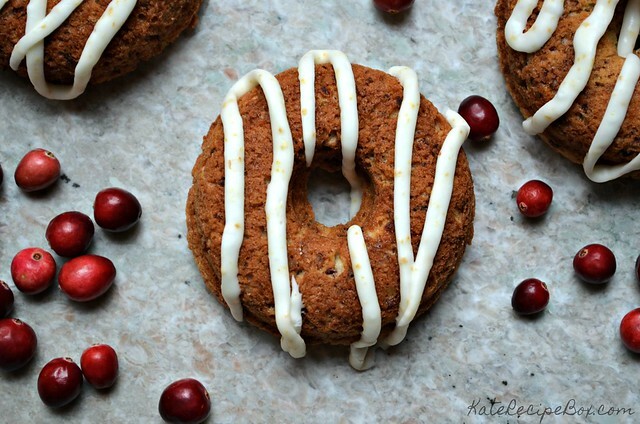 I’m excited to be sharing this recipe as part of Cranberry Week – now in it’s third year! See all the tasty cranberry recipes being shared today below and follow #cranberryweek on social media for more ideas all week long. Preheat your oven to 350 degrees F and spray your doughnut pans with non-stick spray. Add the cranberries, pecans, and brown sugar to a food processor. Process until chopped into small, even pieces. In a larger bowl, whisk together the coconut oil and sugar until creamed. Stir in the vanilla, eggs, and orange zest. Stir in some of the flour mixture, then some of the milk – alternating until all combined, ending with milk. Stir in the cranberry mixture. Spoon the batter evenly into the doughnut pans, filling halfway. Bake for 10-14 minutes, until lightly golden. Cool completely. When the doughnuts are cool, add all of the glaze ingredients to a small bowl and stir until well combined. Drizzle or pipe over the doughnuts.